I got an iTunes card for Christmas and so naturally I used it to purchase some hip-hop. I’ve got to admit that I love some old school Run-DMC, but you will not find “It’s Tricky” on my iPod or any other Run-DMC classics. Instead, after reading some tips from Tim Challies, I purchased some Lecrae, Shai Linne, and Flame. Shai Linne has a song based on the old African Spiritual, “Were You There When They Crucified My Lord.” I highly recommend it. At the end he has sampled an excerpt from a C.J. Mahaney sermon. 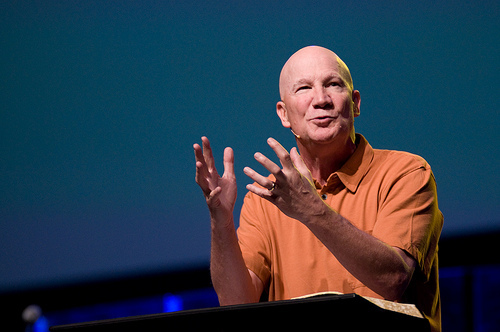 Mahaney says, ” Before we can begin to see the cross as something done FOR us, leading us to faith and worship, we have to see it as something done BY us, leading us to repentance. Only the man or woman who is prepared to own his share in the guilt of the cross may claim his share in its grace.” That’s good and it’s in a hip-hop song…awesome.